House lawmakers approved legislation early Monday that would complete the transition to all-digital television broadcasts in the United States by Feb. 17, 2009. The measure also would allocate up to $1.5 billion to help consumers with older, analog TV sets purchase converter boxes so they would continue to get service in the digital era. The date for all-digital and the subsidy were included in a broader deficit-cutting bill that the Senate could take up later Monday. The Feb. 17 deadline — the so-called "hard date" to end traditional analog transmissions — was a compromise between House and Senate legislation that called for different end dates. The House initially proposed ending analog transmissions on Dec. 31, 2008; the Senate had backed a hard date of April 7, 2009 — after the March Madness college basketball playoffs. The Senate had also proposed a much bigger converter box subsidy of $3 billion. The compromise figure of $1.5 billion is meant to help the 21 million households who rely on free, over-the-air television. 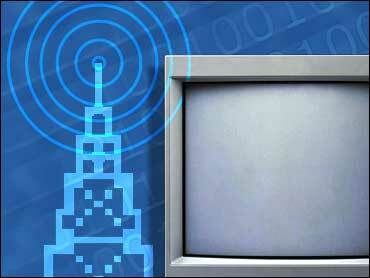 Cable and satellite customers would not be affected by the switch to digital. The new House bill would initially provide up to $990 million for the converter box subsidy, including about $100 million for administrative costs. If more funds are needed, another $500 million would be made available. The move to all-digital will free valuable radio spectrum, some of which will be allocated to improve radio communications among fire and police departments and other first responders. The rest of the spectrum would be auctioned by the government for an estimated $10 billion, though private estimates put that number higher. The House bill also would set aside up to $1 billion for public safety agencies to upgrade their communications systems.